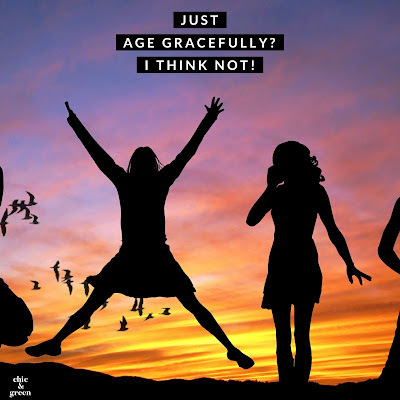 Just age gracefully? I think not. Many of Hollywood’s most gorgeous leading ladies are over the age of 40. These big screen starlets take good care of their skin and it shows. There’s no reason you can’t have a radiant complexion at any age. Follow our ten expert tips for skin care after 40 and you, too, can have glowing skin worthy of a walk down the red carpet. I am 43. My skin today is in MUCH better condition than it was 5 or even 10 years ago. It's all about SUNSCREEN, proper ingredients, and following a consistent skincare routine. SUNSCREEN is your best line of defense against aging. 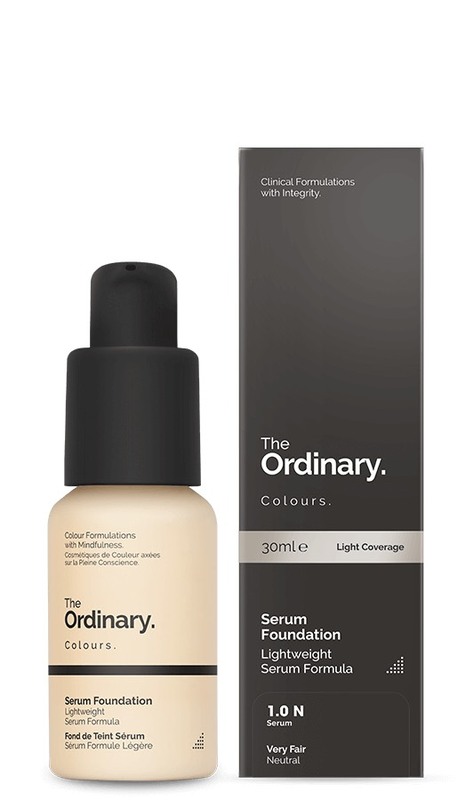 I am not including it here in this post, as I have written on the importance of wearing a broad spectrum sunscreen both here on the blog and in numerous print publications. BESIDES sunscreen, what can be done to help promote youthful skin? Read on. 1. Seek out products containing retinoids. 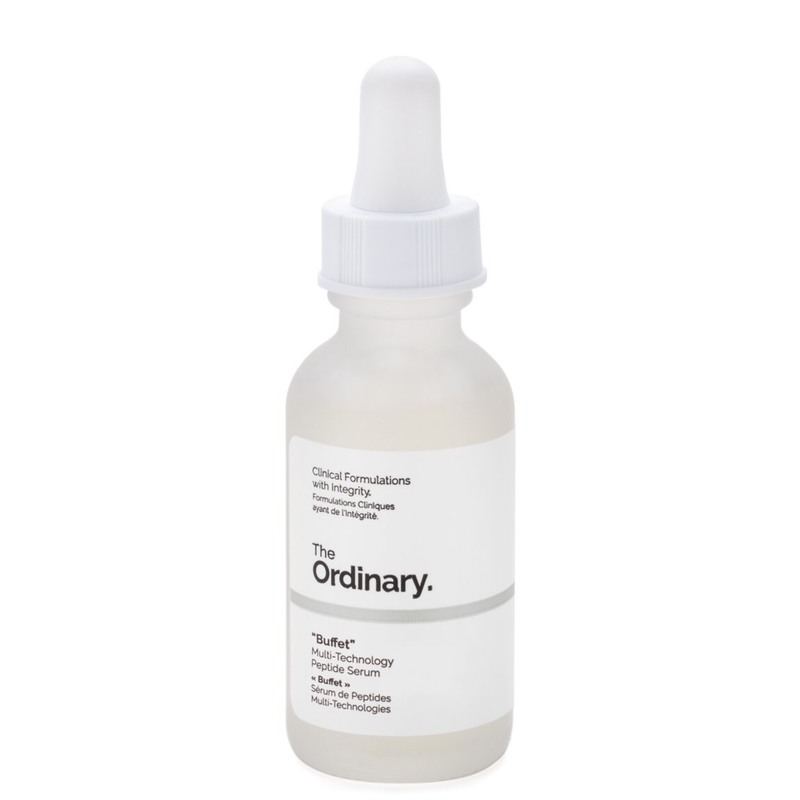 Forget all of the overhyped skin care products and remember this one word: retinoid. Retinoids are an active form of Vitamin A and they have proven to be an effective anti-aging class of ingredients. Retinoids have a long history of research behind them and they are something that nearly everyone can use. Not only are retinoids proven to reduce the signs of aging such as deep lines and wrinkles, but they are also a highly recommended acne treatment. I recommend using them only at night, as they can increase your skin’s sensitivity to sunlight. If you have not broken the nicotine habit yet, make smoking cessation a top priority. Not only will you become healthier, but your skin will look better. Women who smoke develop lines around the mouth and eyes and are more prone to skin congestion which results in blackheads. Skin is generally more sallow and these signs of aging due to smoking really tend to become more obvious after 40. 3. Say goodbye to the turkey neck. Don’t forget the neck area. While most of you are conscientious about applying skin care products to your face, the neck is often ignored. Even if the skin on your face is radiant and smooth, a wrinkled neck ages you, so add neck care to your to-do list. The skin on your neck is actually quite delicate, so be sure to use a rich firming cream to this area each night. Look for ingredients such as ceramides to provide wrinkle-fighting benefits to the neck. 4. Peel pads are your new best friend. One of the best ways to revitalize and brighten the skin is through exfoliation. There are many at-home peel pads with glycolic acid that you simply swipe over your face every few days. When you do this, the acid will help encourage cell turnover to shed dead cells and reveal a youthful glow. Check the labels and look for words like glycolic, salicylic or mandelic acid when choosing a peel system. 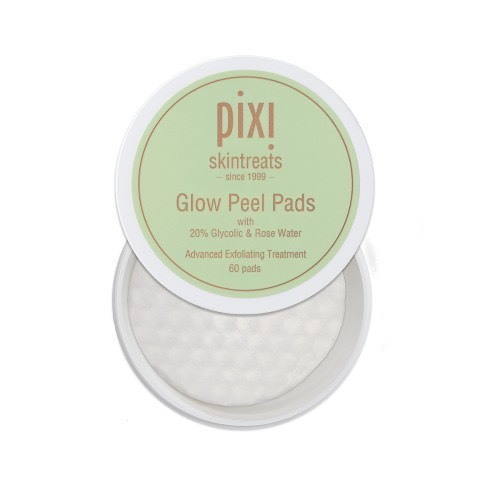 Chic & Green recommends: Pixi Glow Peel Pads are among my favorites, for sure! While drinking water and applying moisturizer will not prevent wrinkles, well hydrated skin looks plumper and more youthful. Products with ingredients such as olive squalane, ceramides, and hyaluronic acid will deliver moisture to the skin without leaving it greasy. These are key to keeping skin supple. 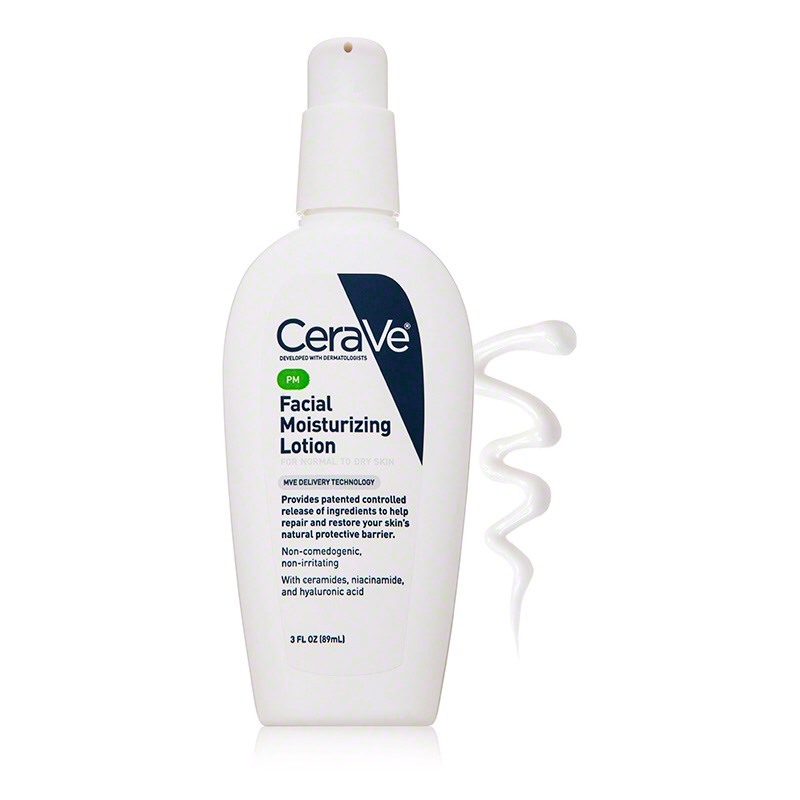 Try the budget-friendly, yet effective CeraVe PM Facial Moisturizer. 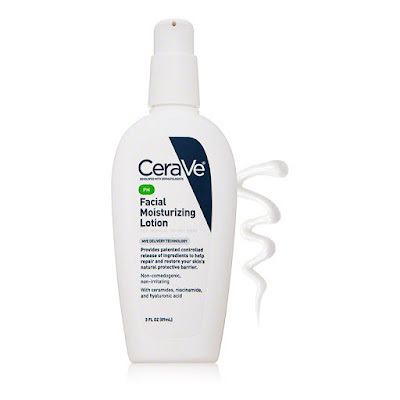 CeraVe is the best drugstore brand out there and the ingredients are really effective. There are multiple ceramides, hyaluronic acid, and a nourishing fatty alcohol called Phytospingosine. 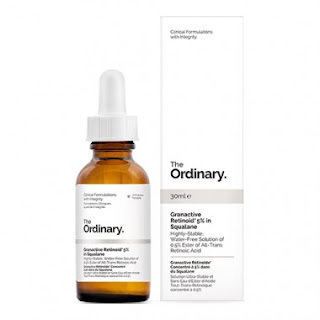 Dullness and brown spots and uneven skin tone are not uncommon after 40, so stop them dead in their tracks with natural brightening ingredients. Skin care products containing enzymes, vitamins and exfoliants are protective and are ideal for targeting dark spots and adding radiance to the skin. Simply brightening your complexion can erase years from your face. 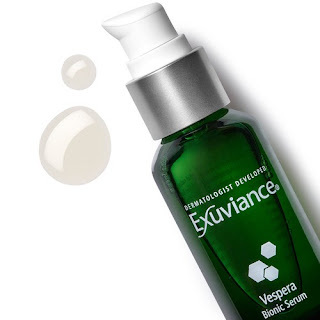 I love: I have been singing the praises of Exuviance Vespera Bionic Serum since I was an educator for the brand a few years back. 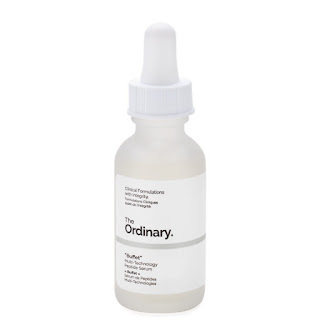 This luxe serum improves skin texture and clarity through its exquisite blend of alpha hydroxy acids to lift away dullness, antioxidants to protect against UV damage, mandelic acid, and multiple skin-pampering vitamins. 7. Take Mom’s advice and eat your veggies. Vegetables are stellar foods for the skin. Green leafy vegetables fight inflammation and provide Vitamin C and Vitamin A, while carrots have beta carotene to protect skin and repair its delicate tissue. Purple and red veggies are great sources of antioxidant protection and fight free radical damage. 8. 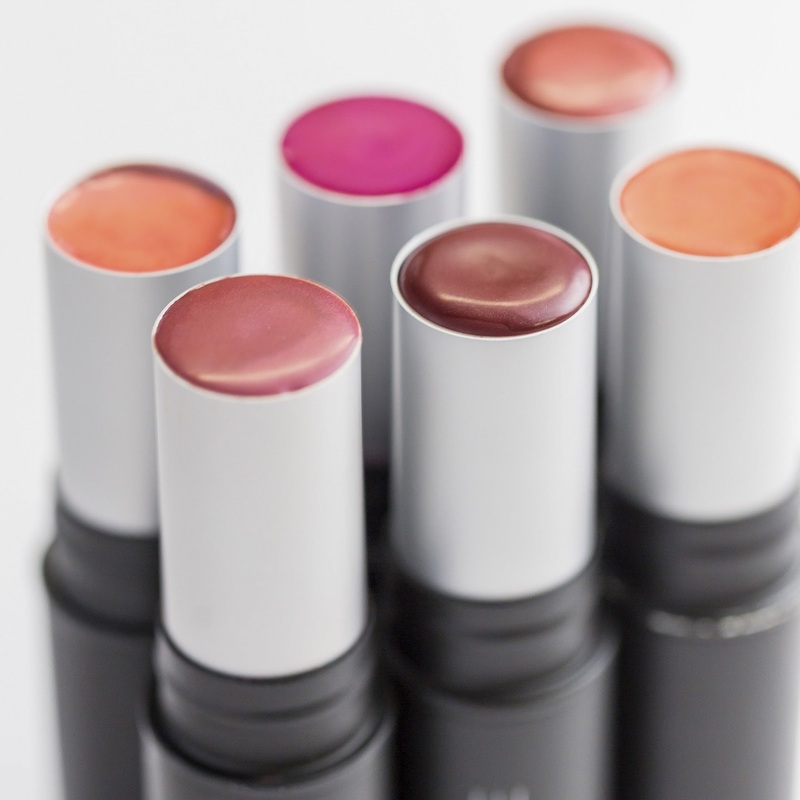 Change up your makeup. Changing formulas of your foundation and blush are two easy ways to have healthier, more youthful looking skin. Switching to a foundation with “brightening” or “firming” in the name can make your skin look younger. Powder formulas tend to look chalky, as do mattes, so processed with caution. I will be doing a post soon on matte makeup and how it really HAS come a long way compared to the matte makeup of 20 years ago, but if you have mature skin, you still need to be careful. Light-diffusing foundations will help reduce the appearance of hyperpigmentation spots and add a more evenly toned look to the skin. 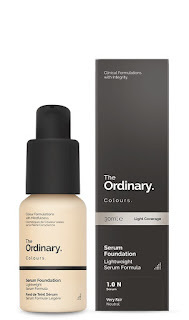 A good one to try: The Ordinary Serum Foundation from Deciem. This is so affordable (just $6.70) and has some really lovely ingredients. It is paraben free, oil free, cruelty free, vegan, nut free, alcohol free, and soy free. When it comes to blush, replace your usual chalky powder with a creamy blush. It will glide over the skin, giving just a pinch of color without settling into lines the way traditional powders do. 9. Consider cutting out alcohol. I know, I know. What about wine o'clock or nights out at the local brewery? I hear you. I embarked on an alcohol-free challenge earlier this year and had nothing alcoholic from January 28th through the 4th of July to see if I noticed all of the results that science shows us in terms of skin and alcohol. It is true (not that I doubted the research; I just wanted to see it first hand). I started drinking again (in moderation - craft beer of a couple bottles per weekend) and my complexion became sallow. It has made me cut back again even more. Alcohol dehydrates your body and your skin. It can speed cellular aging and make your complexion sallow. Try cutting back or cutting it out altogether. Your skin will thank you! 10. Make collagen building peptides a priority. Peptides are molecules that are linked together. Why should this matter? 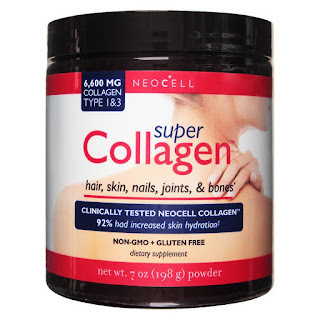 These links of molecules contain at least two amino acids and research indicates that they may help to rebuild collagen. This is essential for reducing the visible signs of aging, as peptides can make your skin look more youthful and plump. Find peptides in anti-aging serums and moisturizers. I also recommend adding collagen peptides to your supplement arsenal. I take Neocell Collagen Peptides daily by adding a scoop to my morning smoothie. You also can get peptides in your skincare products. My top picks? For a budget-friendly, yet effective option, I recommend The Ordinary Buffet. This serum features both Argireline and Matrixyl and it WILL have an impact on lines, deeper wrinkles, age spots, sagging, and more. 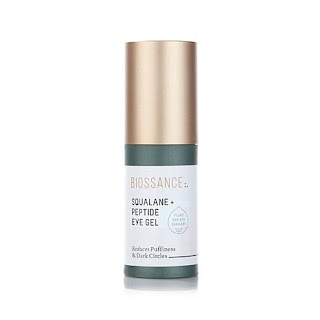 For the eyes, I cannot say enough about the fanfreakingtastic Biossance Squalane + Peptide Eye Gel, which is 100% amazeballs. Trust me on this one. Age is nothing more than a number. You can have beautiful skin at any age. Making some simple skin care changes can make a real difference when it comes to improving the appearance of your skin after 40. Disclosure: This post contains some affiliate links to products. All products have been tried and tested and I endorse them fully. However, I want to let you know that I am a member of some affiliate programs and do earn a commission on some of the products I recommend.